Her 35+ years of experience will put your mind at ease the moment you meet her. Having been both a buyer and a seller, she understands your concerns and hesitations and is dedicated to helping you fulfill your real estate dreams. To JoAnn the real estate business is about being honest, helpful and up front, working hard and more importantly, it’s about trust. She and her husband are avid supporters of the Tennessee Tech university and TTU athletics. She is very proud of the Cookeville community and all it has to offer…please don’t get her started!!! She has 3 grown children and 4 grandchildren…they are special. She enjoys reading, aerobics, walking and hanging out with friends at their cabin on Pickwick. JoAnn is a Graduate of the Realtor Institute (GRI) and earned the professional designation of Certified Residential Specialist (CRS). “Love What You Do.” It is a plaque in JoAnn’s office. Just read some of her testimonials. With all the changes, trends and developments in the business, JoAnn continues to attend classes and further her real estate training needed for success in today’s market. I have worked with numerous companies and individuals throughout my 44 year career, many of which represent Fortune 500 companies and who are staffed with exemplary professionals at the highest levels in their respective fields. In all those years and among the thousands of professionals to whom I have been blessed to serve, few have demonstrated the professionalism, personal commitment, personal sacrifice, depth of knowledge, honesty, integrity, character, transparency and care that we received from JoAnn during all stages of the sale of our home. Outstanding individual, American Way representative, community asset and friend. If we were to give JoAnn the "pat-on-the-back" that we believe she deserves it would most likely knock her over. JoAnne, You have been awesome through this whole process. Promise me you and Phil will come over and "hang out" with me and Angy on the back deck! I want you to know that you have been the best "referral" agent I have ever worked with since I was licensed in the mid 60's. You are an agent that I would love to have on my team, an agent who keeps her eye on the ball and manages to get a slam dunk. JoAnn guided us through the paperwork and explained the Tennessee laws and procedures. She offered insight to local mortgage brokers and home inspectors. 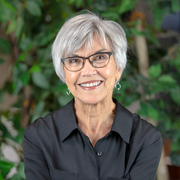 If you want someone who will listen to your requirements, work within your budget, offer suggestions you haven't thought of; choose "Our Realtor", JoAnn Wilbourn! Thanks JoAnn!! We love the home you found for us! Working with you has been such a joy. You are the gold standard for realtors in our book. You took such pains to acquaint us with the community, to get to know us, and to find just the right home for us. You really have gone above and beyond what we might have expected. Our faith in your integrity and our enjoyment of the time spent with you have made the entire process a pleasure. We look forward to our visits, and very much hope they will not cease now that the business part of our relationship has concluded. We were very fortunate to have the opportunity to meet and work with JoAnn Wilbourn during our house search this year. JoAnn's genuine warmth and friendliness set the stage for our relationship right away. She thoughtfully listened to our needs in a home and helped us find listings that fit our preferences. By getting to know us and our needs at this stage in our lives, she helped us find a great house. Her vast knowledge of Cookeville is invaluable to new residents. She even took the time to recommend professionals to help with our new home. We truly feel we have found a great realtor and made a new friend! JoAnn helped me establish a realistic assessment of the market value for the property I had chosen. She was very helpful throughout the bidding and buying process. She quickly and accurately answered all my questions and acquired the information I had requested with regard to the property I was purchasing. Moreover, she was easily contacted via phone, text, and email with her responses arriving back to me promptly. She was very amiable, professional, and easy to work with. I would definately recommend JoAnn Wilbourn to anyone in the market looking to purchase and/or sell property. I was referred to JoAnn from a colleague at TTU. 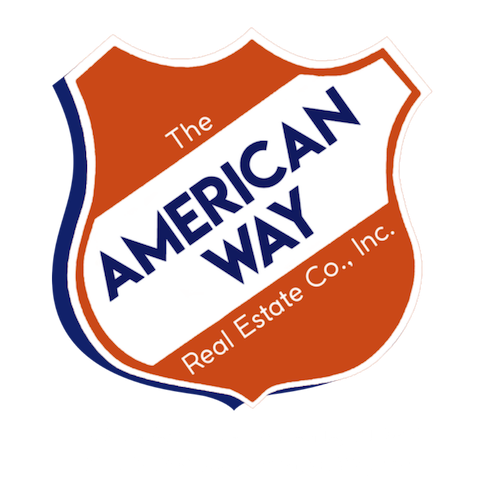 As a first time homebuyer who moved to Cookeville from a different state, the whole process would have been overwhelming on my own. But JoAnn made everything simple and smooth. She is honest and works hard for you. She is very responsive and a clear communicator. She isn't afraid to tell you what you need to hear (buying a home can get to be an emotional endeavor, and it's good to have an objective and experienced person working for you). The bottom line is that I'm writing this recommendation from my new house. I love my new home and we were able to negotiate a very reasonable deal. None of this would be possible without JoAnn. There's a reason why she's been in the business so long. She provides amazing service. I would recommend her to my family and friends without a second thought.